The processing of Tie Guanyin tea (TGY) is complex and requires expertise. Even if the tea leaf is of high raw quality, and is plucked at the ideal time, if it is not processed correctly its true character will not be shown. Although a good balance of taste and aroma is obtainable using standard infusion parameters, the best way to enjoy a fine bouquet Tieguanyin is to put in a few times the tealeaves for a shorter infusion. A really fine one would give you a round, intense aroma with a velvety liquor of tinkling sensation. For a 150 ml taster’s mug or, better yet, a 140 ml gaiwan, begin experimenting with 8 g of tea with 95°C water for one to one and a half minutes. You can try your way up to 12 g, but the selection has to be really fine in order for this tea to water ratio to work.. The tea leaves are curly, almost ball-like. The color is a dark brownish green. Once brewed, the liquid of good Tieguanyin should be a beautiful amber color while inferior tea yields a dark brown color. 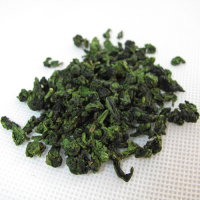 Speaking of the flavor, Tieguanyin is arguably the most naturally aromatic Chinese tea. It has a penetrating floral scent but well balanced by a slightly bitter taste which morphs into a sweet aftertaste. 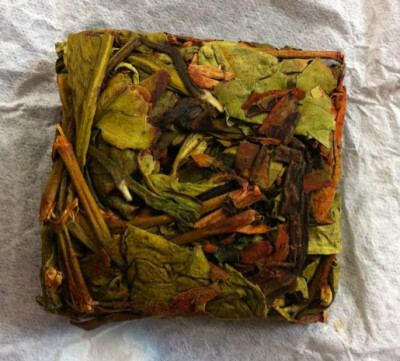 The complexities in the flavor are what set Tieguanyin apart as the tea connoisseurs’ tea. There are two types of Tieguanyin based on the type of aroma: intense and refreshing, a good description of its respective aromatic feature. Good Tieguanyin keeps its flavor well into the seventh or eighth brew, making it a perfect companion of contemplation and meditation. it is a variety of Anxi Oolong teas,similar to Tie Guan Yin .The brewed tea is orange in color with a light and floral flavor. It has expressive flourish smell and fruity aftertaste. Zhang Ping Shui Xian is a rare Oolong tea from southern FuJian. Zhangping Shuixian is the only kind of pressed oolong tea. The craft of making Shuixian oolong has been passed down over five generations. the fermentation of Zhangping Shui Xian is lighter. This great and rare Shui Xian oolong is made by traditional manner and press to small square cake about 18-19g. 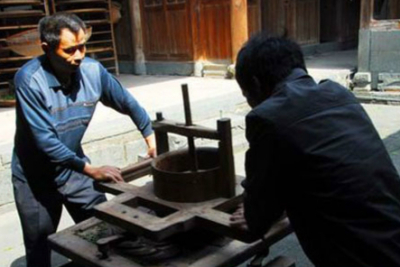 This is famous and traditional method which is specific to Zhangping.Wood mould is used to press tea leaves in the process of zhangping shuixian Oolong tea. 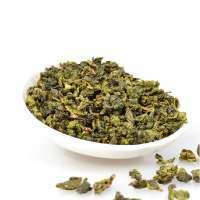 this oolong is unique in that its large leaves and stems are compressed into a small square. 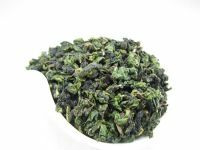 Black Oolong is a new variety of Oolong tea in recent years, which it combines the production methods of green tea and black tea. 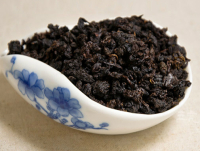 Black Oolong tea suppresses the increase in serum triglycerides after meals through the mechanism oolong tea polymerized polyphenols use to block fat absorption. It is useful as a dietary aid for people who tend to eat rich foods, as well as for those with high levels of serum triglycerides. 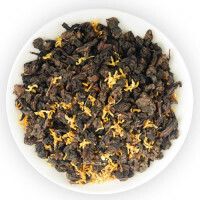 This tea uses the best golden osmanthus to blend with top grade oolong. This oolong tea has absorbed all the fragrances from the osmanthus flower, which produces a superb floral fragrance and smooth taste.osmanthus is placed next to oolong leaves and scenting is conducted using the traditional method. Ginseng Oolong Tea is an invigorating blend of Oolong Tea, Ginseng, Pink Reineckea Herb and Kuding Tea. Ginseng has long been renowned as a medicinal herb. It's frequently used for enhancing physical and mental endurance, strengthening resistance to stress and fatigue, boosting the immune system and revitalizing cell activity; Oolong tea is known for its orchid-like aroma and lingering sweet aftertaste. It's also effective in alleviating or preventing indigestion. Research also suggests that oolong tea may help to lower cholesterol levels.